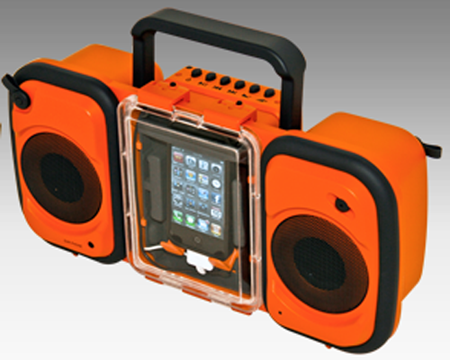 The Eco Terra is the new age fitness boombox made for outdoor excursions and adventures. It plays all major smart phones and portable music players. Take it to group workout sessions in the park or even something more extreme, because if you get lost in the dark it also functions as a flashlight. The Eco Terra is waterproof and will charge your smart phone. What doesn't it do?